Queensland is known for the initiatives they take in order to improve the economics of the territory. So there is no surprise that they decided to bring the world’s most well-known investors in casino industry to the region in an attempt to improve the state’s finances. The officials of the eastern Australian state decided to reach the representatives of the most noticeable casino brands from Macau and Las Vegas in order to understand how they can successfully invest in this domain. They know that the best strategy to attract casino operators to Australia is to travel to the City of Lights, meet with the casino companies and present them the benefits they will have if they will choose to invest in Queensland. Queensland will be represented by Kate Jones when the delegates will travel to Las Vegas and Macau. She is the Queensland Tourism Minister, so she is the right person to negotiate with casino operators. During the official visit, Jones and her team plan to get in touch with representatives of companies as MGM Resorts International and Caesar Entertainment, because they want to collaborate with great brands in order to improve the effectiveness of the tourism strategies they are using at the present moment. They want to bring famous casino names to Queensland because in this way they will attract a higher number of tourists who will opt for longer vacations. If tourists stay longer then they will spend more money and they will facilitate job creation. This is an initiative that will increase the number of jobs for the locals so it is saluted by officials from all around Australia. Jones stated that she got in touch with some of the world’s biggest brands, and they are willing to invest here, but before deciding what operators will establish their businesses here, the Minister has to make sure that they will choose the best opportunities for the locals. Nowadays the monopoly on casino operations in Australia is held by the Star Entertainment Group Limited. 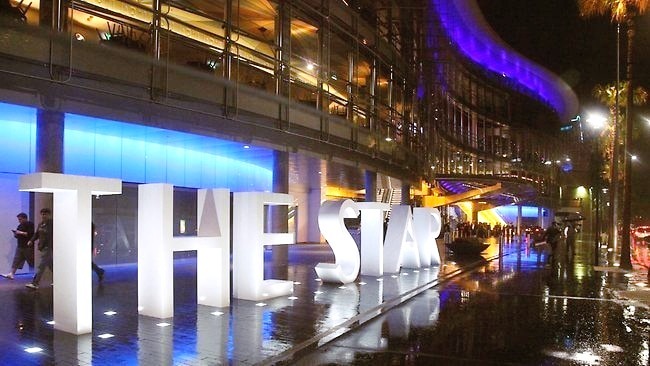 This company not only that owns but also operates some great hotels and casinos in Australia, The Star, in Sydney, The Star Gold coast, on the Gold coast and the Treasury Casino and Hotel in Brisbane. The same group also operates the Gold Coast Convention and Exhibition center on the side of Queensland officials. Alongside Star Entertainment Group Limited, the officials of Queensland plan to bring new names both in Cairns and on the Gold Coast. They have as main goal to bring to Australia operators that are able to provide integrated solutions. It is crucial for the economics of the region the casino resorts to also offer restaurants, hotels and entertainment spaces. It is important to say that Jones is not supported by all officials of the state, some politicians argue her choices. Some people consider that the trip Jones takes is not for official reasons but for personal ones, and she will only use the state’s funds to pay for her trip to Las Vegas. In order to defend herself, she told Nine Network that famous entertainment companies have contacted her because they want to invest in Queensland and she wants to make sure that the region will have only benefits if they choose to collaborate.